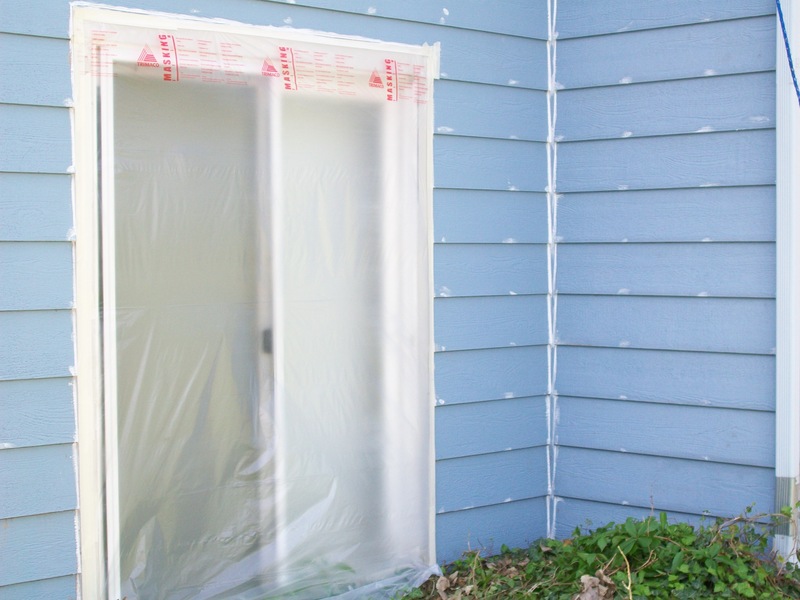 If you have been following our posts for any time, you may have noticed us hammering away on the importance of properly sealing your home – both inside and out. The reason for caulking the outside of your home is a little easier to see – if you have ‘holes’ in your exterior coating water can get inside. Imagine a piece of paper. If you were to put a piece of tape on the paper and file it inside your drawer, when you go to pull the paper out you would expect the tape to still be stuck, right? Now imagine the same paper and tape, but instead of filing the paper you leave it on your desk and water gets spilled on it. Would you still expect the tape to stay stuck? Most of the time, even if the tape itself doesn’t get wet, but the water spreads up the paper (called wicking) underneath the tape, the tape will fall off the paper. The glue on the tape just isn’t strong enough to adhere to the paper when it’s wet. Cracks allow moisture to get behind your paint, degrading its adhesion. Now imagine the surface of your exterior is that piece of paper. The paint is designed to adhere the surface and repel the water from the underlying surface. If the integrity of the paint is compromised (read, “has holes in it.”) water can get inside and wick into the surface under the paint, known as sub-straight. If the substraight gets wet enough the paint will no longer be able to stick to it – just like the tape on wet paper. Then the un-stuck paint will become a little pocket that allows more water to be stored under the paint, thus allowing it to wick along the surface of the substraight, allowing more paint to come loose. The problem will continue until the loose paint is scraped off and the area is repainted. Since paint isn’t designed to flex much, the normal process of expansion and contraction will cause it to crack. Caulking, on the other hand is an elastomeric substance designed specifically to accommodate the flexion your house goes through on a daily basis. Unfortunately, just like your underwear, the elastic properties of caulking wears out and will eventually crack out. Since we don’t want water to get in, it makes sense to re-caulk. Some painters will tell you that since the old caulking isn’t cracked there’s no reason to re-caulk most of your house when you repaint. This will save you immediate money, but let’s look at the logical argument to that perspective – if your house was painted 10 years ago, all the caulkng is 10 years old. The areas that have the most flex will usually crack the soonest, but ALL the caulk is the same age – it’s all losing its elasticity. We want to insure your new paint job gives you the maximum life it can, so we don’t want to take a chance that old caulking will crack and ruin the paint on top before its time. So to make sure you get the most for your money we caulk every seam, every joint, every hole, every crack, every nail head, whether it was caulked before or not, whether it’s cracked or not. We realize this attention to detail may cost us future business, since we won’t be out to re-paint your home as soon, but we are banking that you’ll be so pleased with how your paint job lasts that you’ll tell all your friends and we can do the same great work for them instead of charging you to re-do the job that wasn’t done right last time.